Can you believe its almost a week until Christmas? We’ve been in a holiday spirit for several weeks here, with lots of hot chocolate and candy canes, Christmas cartoons, shopping, friend dates, and breakfasts for dinner. I am very excited to do all those things with family soon. And as much as I love making things, it will be nice to take a little break from sewing too! If you are in the market for a handmade stuffed animal or cute Christmas cards, be sure to get your order in today! 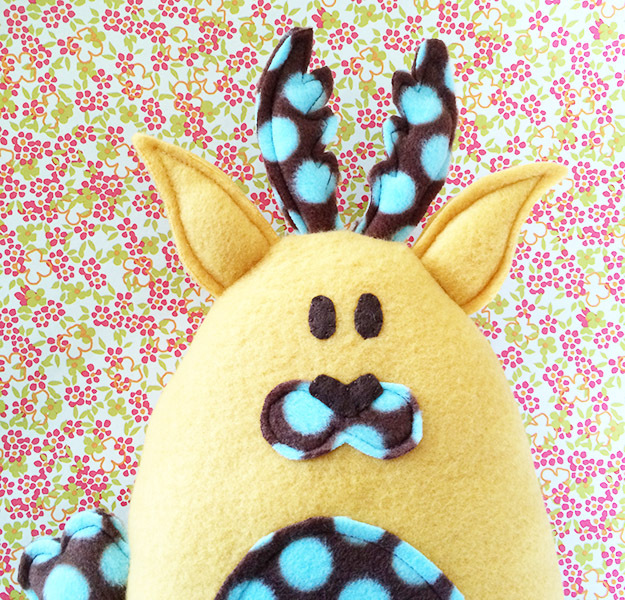 This entry was posted in Shop and tagged craft, etsy, fleece, handmade, jackalope, little amaryllis, stuffed animal on December 17, 2014 by Chelsea.